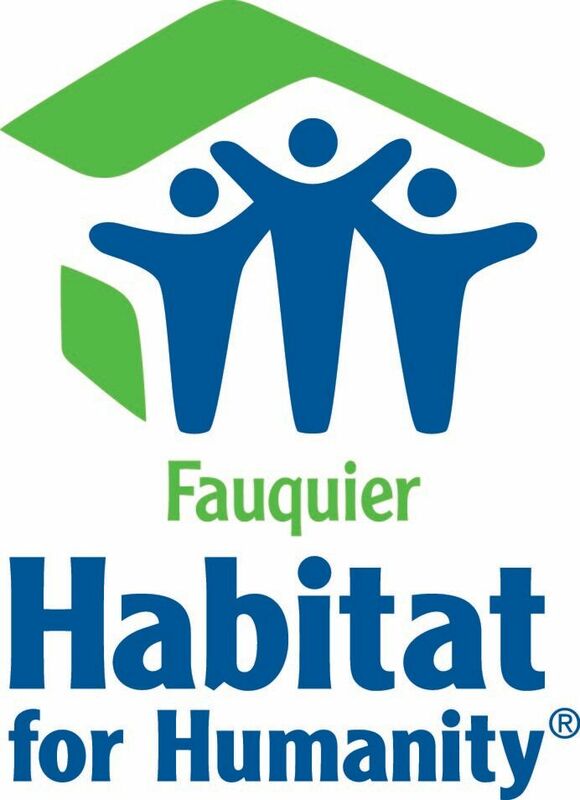 Fauquier Habitat for Humanity is governed by a Board of Directors, which includes an Executive Committee. Each board member serves a three-year term, and can serve a maximum of two consecutive terms. Tom received his BS in Biomedical Engineering from Boston University but upon graduation fell in love with systems and software engineering. He is president of Sand Dollar Software, Inc., a small software development company that he and his wife Donna founded in 1989. Tom is active at his church, Our Saviour Lutheran Church in Warrenton, where he has served as Financial Secretary and Council President. Among his current activities, he is one of the leaders for the Senior High Youth Group and is the leader of the senior adult ECHO Ministry. Since 2009, Tom has been involved with the Dave Ramsey Financial Peace program, leading Financial Peace in his congregation, helping other congregations get started, and as a trained financial counselor, providing one-on-one help for families in need. Leslie is a native Washingtonian and a graduate of Ohio University with a degree in Telecommunications. Leslie has spent more than 15 years dedicated to volunteerism in a number of capacities throughout the Fauquier County community. Most recently, she served as the Executive Director of the Blue Ridge Orthopaedic Foundation as well as the former Race Director for the Bodies in Motion 5k & 10k, which raises money for more than two dozen non-profit organizations within Fauquier and Prince William counties. She has also served on the Board of the Wakefield Booster Club including as President, the Snow Hill HOA Board of Directors, Fauquier Jewish Congregation Board of Directors, and the C. Hunter Ritchie PTO Board as Treasurer. She has also served on two FCPS Redistricting Committees. Leslie and her family have lived in Warrenton for 19 years. Her husband, Jeff, is an orthopaedic surgeon at Blue Ridge Orthopaedic & Spine Center in Warrenton. They have two children, a daughter who attends Virginia Tech and a son who attends Miami University (OH). In her spare time, Leslie enjoys working out at the gym doing HIIT classes, yoga, running, golf and skiing. A native Bostonian who relocated to Warrenton in 1997 Dana is currently the CFO of Plow & Hearth, LLC a privately held retailer of products for the home. He was the COO of the company from 2006-2016. He began his career at the women’s apparel company, Talbots and has also worked at J. Jill, Appleseed’s and Faith Mountain, all in the Finance and Operations side of the business. Dana holds a B.S. in Accounting from Bentley University and an MBA in Marketing and Finance from Babson College. His wife, Marisa, is the art teacher at Warrenton Middle School. His two adult children are both graduates of Fauquier High School. He enjoys, reading, gardening and golfing and previously sat on the Habitat board from 2012-2017. Krista has lived in Virginia since 1980. Shortly after moving here she met her wonderful husband Doug. They became members of Our Saviour Lutheran Church in 1989. Krista work with Kim Forsten at Old Town Athletic club, from 1996 until 2013 when she retired to care for her mother and grandson. It was through their church involvement that Krista starting helping with Fauquier Habitat for Humanity in 1994. In 2005 she participated in the first Women Build home. The experience had such an impact, that in 2008 she became the Co-chair of the Women Build committee and held the position until 2013. Krista continues to be involved with Women Build and provides other support to the affiliate. Tray is a native of Warrenton. He has been a Broker with his family Real Estate company, Allen Real Estate, since 1998 when he graduated from Va Tech. Previously he has twice served on the Board of the Greater Piedmont Area Association of Realtors as well as the Board of Directors of Fauquier Family Shelter and the Boys and Girls Club of Fauquier. An avid golfer and Hokie football fan, he resides in Warrenton with his wife Emily and his young son. Terri serves with Pastor Michael Church, many staff and volunteers at Our Savior Lutheran Church in Warrenton. Her history includes service with homeless ministries in San Antonio, TX, and New York, NY, followed by 19 years of pastoral ministry in and around New York, NY, and in Cluj-Napoca, Romania. She started volunteering with Habitat in 1986 as a college student and helped charter the first college chapter of Habitat at Baylor University in Waco, TX. She’s thrilled to be able to serve the Fauquier community through her church and Habitat and hopes to connect other religious leaders in the community with Fauquier Habitat for Humanity. Dave has been in the financial services industry since 1986 and has served in many capacities as a financial advisor before switching to the mortgage side in 2010. Dave is currently a mortgage loan originator at Integrity Home Mortgage Corporation; a locally based, but privately owned direct lender, specializing in quick close times on residential mortgages. Dave has deep roots in the community. He is a graduate of Fauquier High School, and received his BS degree in Business from VCU. He was a Big Brother in the Big Brother/Big Sister program for many years, & has served on local boards such as the Partnership For Warrenton, and previously on the Habitat For Humanity board. His father started Blue Ridge Orthopedic Associates, and served many years at the Fauquier Free Clinic. Dave was recently married, and lives in Warrenton. Having played both tennis and basketball in college, Dave still considers fitness training one of his outside passions. Donna grew up in Bristow Virginia, graduated from Stonewall Jackson High School in 1979, and immediately went to work for a Title Settlement Agency as a document recorder. She has been in the settlement and title insurance business from the ground up for most of her career and currently owns a small settlement agency. Donna was married in 1983 to Ed, they built a house on Bull Run Mountain where they lived for 12 years and then moved to Fauquier County in 1995, where they built their second home. Over the years they’ve had a lot of fun water skiing, camping and dirt biking. Donna spends most of her spare time with horses and Ed enjoys working on cars. Donna is enjoying a blessed and happy life and wants to make a meaningful and positive difference in the lives of others who have not been so fortunate. Bob is an Emeritus Professor of Marketing at George Washington University. His BBA and MBA are from Bowling Green University and his PhD from the University of Maryland. He has done consulting and executive training for the U.S. Federal Trade Commission, The U.S. Food and Drug Administration, IBM, and Lockheed Martin. Bob was the Associate Dean of GW’s Graduate Business Programs, and Chair of the Business School’s Marketing Department. He is the former VP of the Collegiate Activities Division of the American Marketing Association (AMA); President of the Washington, DC Metro Area AMA, and National AMA Board Member. Bob and his wife Ann-Marie have three children and six grandchildren. He plays for the senior men’s team at Fauquier Springs Country Club and has volunteered for the Brentmoor Foundation and the Mosby Museum. Currently, Toni owns an online marketing firm, TFEvans.com, with small business customers across the U.S. Her marketing career started at AT&T in Washington D.C. then moved to New Jersey as Manager Marketing Training, then as Senior Manager Marketing for AT&T’s Network Services Division, a position she created, developed and managed for over a decade. Toni has several “first” in marketing (i.e., direct mail with over 9.8% return) and was sought-after and worked for start-up telecom companies. Always active, was an Adjunct Instructor Marketing at Rutgers University; a former member Board of Directors Essex County Urban League and a Marketing Mentor for the American Marketing Association-DC. Toni is a native of Arlington, Virginia and is so proud of her thoughtful son Lincoln Wilks, who just got engaged! Her late husband was an Army Veteran and she continues to support military causes mostly in his home state of Louisiana. She holds undergraduate and graduate degrees in Marketing. Now loves living in the Town of Warrenton. Aron is a professional home builder and the owner of Green Development LLC, a Warrenton-based contracting firm. He brings a broad knowledge of building and development to the organization gained through a lifetime of unique experience. He received his formal training in construction engineering from the US Air Force and spent his early years in mining and land development in Alaska. Aron relocated his family and his business to Fauquier County in 2000. He has served on our Building Committee for many years and looks forward to helping to chart the future for our affiliate by serving on the Board. Charles Robinson has serves as a professional insurance agent with State Farm Insurance Companies since September, 1990. He also served as an Agency Field Consultant for the company from September 1995 until December 31, 1999. Prior to entering the insurance business, he worked for the U.S. Government as Director of Logistics for Engineering and Housing, Army Corps of Engineers and from 1987 to 1990 in addition to working as a Systems Engineer with the Corps from 1983 - 1986. Charles outstanding career also includes, seven years in the United States Army where he served as a Logistician for the United States Army Security Agency. He served as supply officer responsible for establishing the Patriot Missile and the M1 Tank Warehouses. Graduate of the University of the State of NY with a Bachelor of Science degree in General Studies. He is a licensed insurance instructor, for the state of Virginia, Maryland and the District of Columbia. Charles is also a Certified Long-Term Care Instructor in Virginia, Maryland and the District of Columbia. A member of Fauquier Springs Country Club since May 1, 1996 where Charles has served on the Grounds Committee for approximately nine years and as chairman for the last five years. He has also served on the House Committee for the past six years. John was born and raised in Arlington, VA. After earning his BS in Photographic Science he joined the Air Force where he served for 20 years in developing unclassified and classified tactical and strategic photo reconnaissance and remote sensing capabilities. Upon leaving the Air Force, John worked in business development for BAE Systems and Northrop Grumman pursuing strategic opportunities in remote sensing and tactical photo analysis and identifying new markets. In retirement John has continued to pursue his love of country by serving as a docent for The Cold War Museum in Vint Hill, VA; his love of the outdoors as a longtime member of the Isaac Walton League, Winchester, VA Chapter; his love of helping others through his service as a Board Member and as a volunteer “builder” for Fauquier Habitat of Humanity, VA; his love of animals through his volunteer work at Middleburg Humane Foundation, Marshall, VA; and his love of science through his support to the Marshall Middle School and Fauquier County Science Fairs. John has two grown children and 4 grandchildren who he loves to spend time with. He is married to Linda and they live on a small farm in Delaplane, VA sharing their house with their much loved dog, Samantha, 3 rescued indoor-outdoor cats, and one rescued feral cat. They both love to travel and experience the world, and in addition to having visited many U.S. National Parks, they have been to over a dozen countries overseas.